Bloomberg MarketsBillionaire investor Mark Cuban offered a perhaps bleak prediction on the future of jobs in an interview Friday. 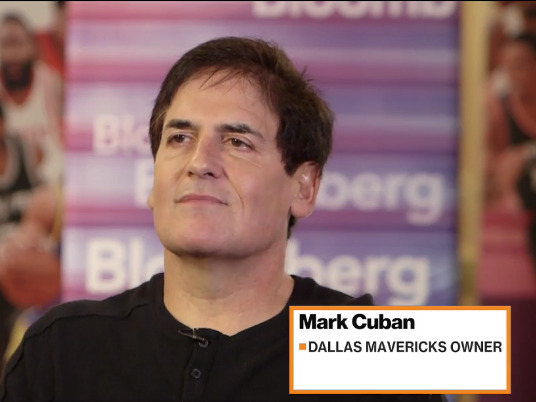 Billionaire investor Mark Cuban offered a perhaps bleak prediction on the future of jobs in an interview Friday with Bloomberg’s Cory Johnson at the NBA All-Star Technology Summit in New Orleans. Discussing the swiftly evolving nature of jobs due to automation, he noted that across a broad array of industries, robots will replace human workers. Prompted by Johnson, he then made a bold proclamation about the types of skills and majors that will dominate in his version of the future labour market. Johnson: So essentially what you’re making the case for is education and job training for grown ups. Cuban: No, no. I think that won’t matter. What are you going to go back and learn to do? Johnson: What it takes, right? Whether it’s finance, whether it’s software programming. Cuban: No finance. That’s the easiest thing — you just take the data have it spit out whatever you need. I personally think there’s going to be a greater demand in 10 years for liberal arts majors than there were for programming majors and maybe even engineering, because when the data is all being spit out for you, options are being spit out for you, you need a different perspective in order to have a different view of the data. And so having someone who is more of a freer thinker. Cuban’s forecast of the skills needed to succeed in the future echoes that of computer science and higher education experts who believe people with “soft skills,” like adaptability and communication, will have the advantage in an automated workforce. “The nature of jobs is changing,” Cuban said.